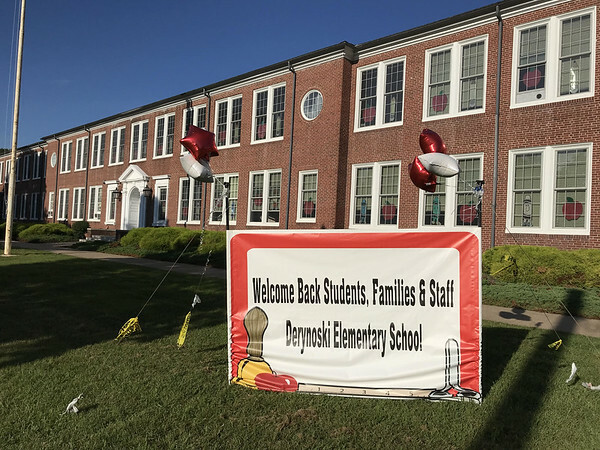 SOUTHINGTON - Several proud parents praised Derynoski Elementary School while dropping off their youngsters for their first day of classes Thursday. Balloons festooned the school sign to welcome the students. 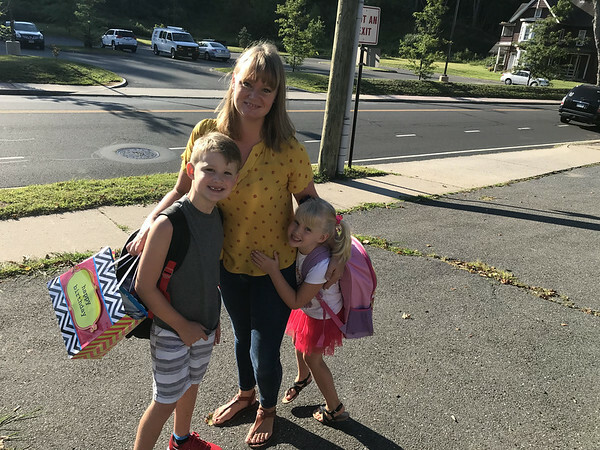 Children smiled as they strapped on their new backpacks and marched off to begin their academic year. 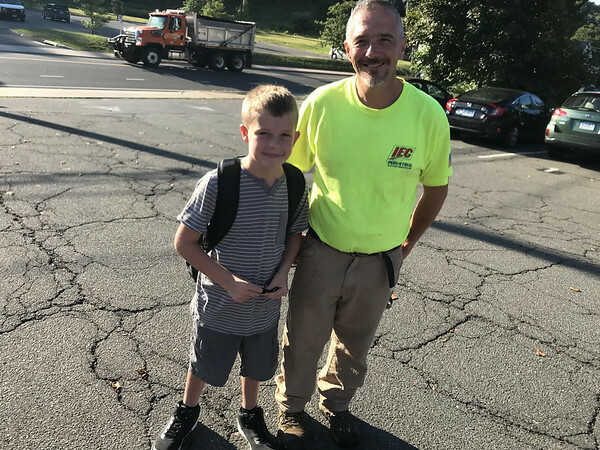 Kenny Stetson was dropping off his son, Ryan, who was starting fourth grade. Ryan said his favorite thing about school is gym. “My favorite sport is lacrosse,” he said. Kenny Stetson said the school is “perfect” for his child. “They have great faculty and staff and great after care too,” he said. 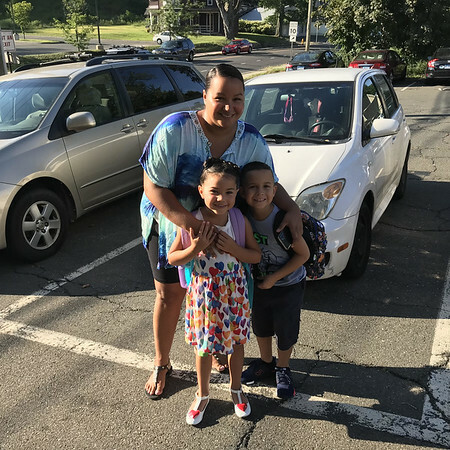 Erika Soto dropped off her daughter Aviana, who is starting kindergarten, and her son Jainathien, who is starting second grade. Aviana said her favorite thing about school is getting to play, while Jainathien said he likes math. Principal Jan Verderame said the first day went smoothly. Brian M. Johnson can be reached at 860-973-1806 or bjohnson@bristolpress.com. Posted in New Britain Herald, Southington Herald on Thursday, 30 August 2018 20:54. Updated: Thursday, 30 August 2018 20:56.